How can you alter your lifestyle to help maintain bone health in your future? Take this 5 day challenge to become a healthier person. You can add weight bearing exercise, calcium, potassium, or anything else to your routine or you can remove something such as caffeine. Explain how the challenge went, what exactly you did, how this was suppose to help the bones, and if you plan to stick with it. You can alter your lifestyle many ways to maintain bone health. I firmly believe that what you put into your body is the contributor to the result of one’s health. Three years ago, what started as a new years resolution, I removed soda from my diet. It was a big step to completely remove because I would find myself craving caffeine. The first three months were the most difficult but as time pasted, I have never felt better. After awhile the thought of a soda would disgust me, and to this day I have not had a soda. I have much more energy and strength now that I have eliminated a big portion of caffeine intake (as well as acids, sugar, etc). Soda would make my muscles/bones feel fatigued. Regarding the 5 day challenge, I eliminated all processed foods and immediately I felt stronger. The first 2 days I got head aches due to cravings and such but after I truly felt like weights were lifted. My bones felt as if they were being supported more when exercising to daily activities. Most processed foods have no nutritional value, so the things you are eating do not aid your body. By cutting out processed foods, it forces you to eat foods that contains nutritional value (vitamins, calcium, potassium, magnesium, etc) that will help build strong bones and a strong body. I definitely plan to stick with it, but it requires a lot of self control. After reading about the effects of caffeine on the body and how stronger and healthier a lot of people feel when they stop consuming it, I decided to try it myself. Usually, I would crave coffee in the mornings every weekend, and I would have a coke with dinner a couple of times per week. But, a few weeks ago, I decided to stop consumption and bring the intake down to zero. The first few days were difficult as my body kept craving the soft drinks and coffee, but I was able to overcome the pressure and was free of caffeine for quite a while. I felt much stronger, and I felt much better when I ran in the mornings and went to the gym. I now know that being caffeine free is a great thing and that I should continue this challenge as long as I can, even though I will have to have some at some point. Suffering from atypical migraines and not having coffee (which helps bring down the intensity of the headaches and migraines) is not fun, but for the most part, I love how stronger and healthier I feel! 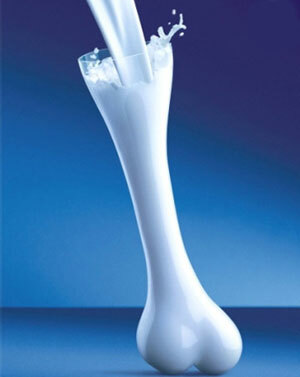 To maintain your bone health, it can be helpful to have a calcium-rich diet that includes milk. Although I drink plenty of water, I also regularly drink Dr Pepper (about a can each day). I wouldn't say that I felt withdrawal symptoms or anything too bad, but it was still tough. Instead of soda, about a week ago, I just replaced it with a glass of milk. I've been drinking milk since I was a child, but the replacement couldn't hurt. In just a few days, I actually felt like I had more energy despite the loss of caffeine. I also feel more well-hydrated and haven't experienced any headaches. I plan to stick with this change for as long as possible, hopefully I will begin to notice long-term changes in my bone health. Calcium is important when maintaing strong bones, but we often overlook what damages or doesnt help the bones and an obvious one is soda that is why; I, Cameron Cole Conner, gave up soda this past year. Now don't get me wrong i used to love soda, so this was no easy thing for me to do, but let me tell you that the change i have seen in myself have been wort it. First off i have more healthy energy because i dont depend on caffeine. Secondly my teeth grew noticeably whiter because i had less sugar intake and no dyed soda staining them. Lastly my skin cleared up greatly and looked a lot better than usual. I suggest giving up soda's because in the end it is just better for you. After researching about the recommended dietary intake and what the average American actually consumes I was really shocked about how high our sugar intake was. While I was researching I found out that on average Americans consume one gallon of soda a week and about 54 gallons a year! One can of soda already takes up a majority of the recommended daily sugar intake. So like everyone else I decided to completely stop drinking soda for 5 days. The first couple days it was difficult because I kept craving for soda or something sweet to drink, but instead I just drank water. By drinking water and not drinking soda I felt a lot more energetic and overall I felt a lot better. Soda can cause bone loss and prevents your body from getting enough calcium. Although I probably will still drink soda from time to time. I'm going to try to drink more water and less soda. After researching how immobile Americans are, I decided that my healthy challenge would be to go for a two-mile jog every morning for a week. This was a big decision for me to make because I have never really pursued running before. According to research, this would help improve my respiratory, cardiovascular, skeletal, and muscular systems. To put it plainly, this has been one of the most difficult things I have ever done. I realized that I am a long-distance walker, not a runner. I realized that the more you stretch before a run and the longer you cool down after a run, the less sore you will feel the next day (or just after your run in general). Also, because I was running so much, by body felt much better when I fed it nutritional items like milk, meats, vegetables, and lots of WATER! Although I cannot run every morning now, I still try to run at least once a week. During my 8th grade year, I found out I had Celiac. After doing tons and tons or research and finding out about how gluten affects people with gluten intolerance as well as people who have Celiac like me, I decided to dedicate myself to a lifestyle of being gluten free. My diet had to change tremendously and I had to overcome a lot of temptations, however it proved to be more than a miracle blessing. Because of Celiac and my life up until 8th grade, I was malnutritioned and was not getting any nutrient to grow or gain weight which took a major toll on my bones and the strength of them as they weren't up to par as to what they should have been. After dedicating myself to giving up gluten strictly I grew a ton and it has since allowed my bones to be extremely healthy. After reading on how bad soda truly is for you I decided to give up soda. After learning that it is truly bad for your health I was truly disgusted. At first I started getting really bad headaches and I would crave soda. Then this craving past, I started sleeping a lot better at night and would have a lot more energy during the day. I try my best to work out 3-4 times a week and I would always have knee pains. After giving up soda I was suprised to see my pain go away. I have not had soda in 3 weeks and I hope I can keep it up! To alter your lifestyle to maintain bone health in the future, you must consume healthy food and strengthen bones with workouts. I personally have trouble with maintaining a healthy diet. So I took this five day challenge and decided to cut back on sugar/sweets, and mostly drink water, and eating a lot of fruits and vegetables. I also tried my best to get at least 8 hours of sleep at night. By the fifth day of this challenge, I felt rejuvenated, and energetic. My sugar and carbohydrate level went down also. It was hard saying no to sweets and junk food, but it didn't hurt eating fruits and vegetables. In fact, the fruits improve my body strength and they were sweet enough to substitute candy or ice cream. I learned that eating health items helps strengthen the bones and your immune system. And working out gives a boost to healthier decisions. I plan on continuing to cut out the bad stuff I eat. It will take some time to get used to it, but my goal is to put effort into getting on the track of a healthy lifestyle. After much research and the lab we did in class, I realized the extent to which soda harms your bones. So since the lab after seeing the bone getting weaker and starting to deteriorate because of soda, I decided to take soda out of my diet. This was a huge challenge for me because I loved soda and drank about two cans of coke a day. However, after a week, I started to realize a change in my lifestyle. I would stop having stomach bugs and feel a lot better and more focused in school. Also, I felt more energized throughout the day. I started to drink a lot of water and milk to replace soda. I have a major addiction to to diet coke. After reading that caffeinated soda could potentially stunt, weaken, or damage the growth of your bones, I decided to give it up for 5 days. This was really hard. I am extremely susceptible to headaches and so caffeine is always what I try to use first to fight off the headache instead of constantly taking pain relievers such as Advil. I did get one splitting headache when we experienced the major weather last week but overall, eliminating diet coke forced me to drink a ton more water which is immensely vital for my body. One of the reasons I may get so many headaches is because of hydration. I would like to try and continue this challenge. Not by totally giving up die coke, but by making sure I am giving myself more than enough water. Milk is an important part of your diet, especially since the strength it gives to your bones is crucial to a healthy lifestyle. After doing the lab and after seeing the bone getting weaker and starting to deteriorate because of soda, I decided to try to lower my soda intake. This was an incredibly difficult challenge, in fact I drank multiple cans a day and lowering that number down would have been a challenge. However, after a week, began to notice a change in my lifestyle and felt a lot more focused and energized throughout the day. By replacing more of my soda diet with milk, I began to clearly see the issue that I had in the past and now strive to maintain this new healthy lifestyle. Bone health at our age is very important, it is important at any age but it's crucial for us while we are still growing. For healthy bones it's important to eat healthy also. I have a major coffee addiction, I have coffee every single morning and I have for several years. Learning about the negative affects caffeine has on your bones I've decided to cut back on my coffee and use other alternatives for energy in the mornings. It was hard at first but then it got easier and I actually started to have more natural energy. Our bone structure is a very important to us. Our bone is mainly affected by our physical health and also the food we consume every day. So, we have take some precautions on the foods we eat and know our limits. By taking this health challenge can be hard, but in the end it was beneficial to me. I vowed to change my habits during this challenge like avoiding drinking sodas all week, I worked out every day for at least for sixty minutes, and eating the right amount of food. The results of this challenge changed my habits, which were good. I started out every morning fresh, I started focusing in class more and I had more stamina. Not only i love this challenge, now I plan extending this challenge for as long as possible. This challenge can help my bones not to get weaker day after day, instead it would my bones more stronger and durable as I age. Our bone structure is a very important to us. Our bone is mainly affected by our physical health and also the food we consume every day. So, we have take some precautions on the foods we eat and know our limits. Taking this health challenge can be hard, but in the end it was beneficial to me. I vowed to change my habits during this challenge like avoiding drinking sodas all week, I worked out every day for at least for sixty minutes, and eating the right amount of food. The results of this challenge changed my habits, which were good. I started out every morning fresh, I started focusing in class more and had more stamina. Not only i love this challenge, now I plan extending this challenge for as long as possible. This challenge can help my bones not to get weaker day after day, instead it would make my bones more stronger and durable as I age. I decided to give up soda for this healthy challenge. This was pretty hard for me since I drink anywhere between 3 to 4 sodas a day. Soda is extremely bad for bones so to replace the soda i decided to start drinking milk instead. I decided to do this because soda is really bad for and I have been trying to give it up for a while now, but I never had the motivation. For the first couple of days after giving up soda I got really bad head aches, but eventually I the head aches stopped. I am going to try to continue this challenge, but honestly I do not know how long I will keep it up for. I will at least try to limit my soda intake to only one or two cans a week. For this challenge I altered my lifestyle by eating chicken rather than beef, running everyday for 30 minutes, drinking as much water as possible, and drinking 3 cups of silk milk every day. I instantly felt much more energetic and stronger. Normally I have joint problems but my joints did not hurt as much. Also my shin splints felt alot better.Most likely the calcium in silk milk helped my bones become stronger during weight lifting and helped increase my calcium bank in my bones. I plan on continuing this diet as long as possible because the effects were amazing. In this challenge instead of eating pork I ate chicken, beef and other sources of protein also I cut drinking soda or carbonated drink from more than one a day to once a week. Although this challenge was only for 5 days I made my choices permanent for my lifestyle. I began feeling more rested and more awake during my classes. Although pork isn't one of the main contributions for bone decay or unhealthiness, it still has many harmful things in it. Since the hogs aren't properly fed the chemicals they eat are absorbed into the muscles and bones of the pig. This causes bacteria to enter my body as well. As for carbonated beverages, we all know that the carbonation is a danger to our bones and health, with cutting my soda intake I wasn't being draged out of bed but instead I would wake up when the first ring of my alarm chimed. I hate milk. I love Diet Coke and Diet Dr. Pepper. I am used to having either one once a day along with four to five water bottles a day. For the challenge, I set a goal to drink milk for one week straight and to avoid caffeine in soda. The challenge was successful for the week I focused on it. It was even partially successful afterwards. I drank a glass of skim milk after I ran my usual afternoon route. I also avoided sodas. My motivation for this was 1) to have whiter teeth and 2) to be less dependent on it for energy. My reasoning for drinking more milk was to develop more dense and stronger bones. I am very susceptible to injury and believed this could be a reason why. After the week was over, I did not continue drinking milk. I do not like the taste so I purchased a calcium supplement to take a few times a week. I have continued to stay away from soda and have increased the amount of water I drink. However, I have started drinking coffee some when I am tired or stressed out so that may be my new caffeine habit I need to rid of. I am in 5th period Peer Partner PE, we are assigned a partner, and are supposed to help them with certain physical activities, whether that be motivation or actual physical help. I have a partner and his name is Ramine, he is the most active and hardworking student in that class. When we do weights and walk/run the track and various other types of physical exercises the teacher, Mrs. Robbinson says I don't have to keep up with him or even do them, because he is so active. I decided to challenge myself and actually start doing the things he did at his rate. For a whole week, we went to the track twice, and it was hard to keep up, and I gave up the first day, and we did a few exercises in the gym for the week, which I also did. I plan on keeping up and continuing to do these with my Partner, for my body and my bones. I have been drinking milk every day. Milk is good for bone health because of the calcium. Milk is also good for overall health. To be honest, I haven't noticed a difference that I can relate to drinking milk. I think this is because any change would be very gradual. I have been going running since sometime in October. I haven't gone running five days in a row this school year. Running has helped me feel less stressed out. I am glad that I have been drinking milk and have gotten into running. Back in 5th grade my science fair project was over how different popular drinks such as Coke and Gatorade affected your bone density. My results showed that both drinks decreased bone density so since then I've watched what I've consumed. For years I have cut out energy drinks or anything carbonated and not only do I not miss them but I've never broken a bone despite the numerous sports I've played. So with the 5 day challenge I actually did the opposite and had coke with every meal. I definitely noticed a huge difference in how I felt and noticed that I actually had a harder time running when I would work out. By the end of the week I was ready to quit my normal work outs and throw in the towel. Nothing tastes as healthy feels! Now I'm back to my regular diet and I can honestly say that it feels good to be back! You can alter your lifestyle to maintain bone health by adding more calcium and potassium to your diet. For the health challenge I cut out all drinks besides decaffeinated tea and water. The challenge went well although it was hard to give up the usual fruit juices and sodas that I’m used to drinking everyday. For a few months I had cut out all other drinks besides water and decaffeinated tea, mainly for my vocal health, and soon realized it had a positive effect on my overall health as well. This also helped my bone helped because after researching the effects on tea on the bones, I have learned that it helped bone density.Water, while it doesn’t necessarily help the bones gain density, it also isn’t harmful. I don’t plan to stick to this diet permanently. I may go back to it before competitions, but besides then, no. To maintain and improve your lifestyle to help your bone health would be to put calcium and potassium in your body. For a lot longer than 5 days, I haven't been drinking soda. This helped the health of my bones because with all of the sugar and carbonation soda possesses, it breaks down the bone and weakens them. I am definitely sticking to my plan so I can grow up big and strong. You can create a healthy lifestyle for yourself by changing a few simple things in your everyday routine. First, you can change the way you eat and create healthy food diets for yourself. You can also increase your exercising habits in order to stay fit and work off the extra weight that you put on. Recently, I got a membership to the Recreation center in Coppell. Over the last few days, I have been to the gym every day. I work out every day because I’m in track, but now I am beginning to work out even more with my new membership. I work on cardio and I have also started doing yoga as well. Recently, since it’s a new year, I have been trying to eat better. By eating better foods with high calcium and potassium like milk and bananas, I have realized that I feel much more energized throughout the day especially at school. This challenge has gone well and this challenge was supposed to make my bones stronger. I plan to stick with this plan so that I can feel better as I get older. I have had this challenge for about 3 weeks now. Because of football training i had to cut down on a lot of sweets. What i believe is taking in all the necessary foods to create lean muscle. What i do is work out 4 times a week, at least consume 6 glasses of milk a day, include fish and poultry into my diet for a good source of protein, and fruit for a boost in water and potassium. I can feel the effects of this on my body and by my appearance. today i asked a coach to give me an estimate on how much weighed and he said 220, but in reality I'm about 245. My plan is to continue with this until college ball, an see what happens from there.